Here at Abbfabb Academy, we believe in delivering high standard tuition and support, to enable our students to be able to run a commercial dog grooming business or dog grooming salon. We do not just tutor you to pass the course because this in itself isn’t enough to be able to offer a fully comprehensive service to your clients. 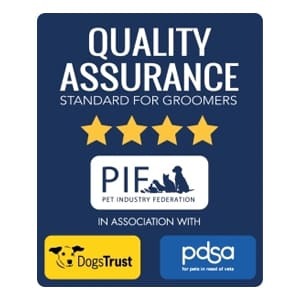 As one of the UK’s highly qualified dog stylists, Eve Somers has many years of experience as a commercial dog groomer, a teacher, an examiner for most grooming qualifications, a competition judge and a show dog breeder and exhibitor. Her knowledge and experience in dog grooming industry have been invaluable in building the reputation of Abbfabb Academy as one of the best dog grooming schools you will find. Due to the change on September 1st, 2017 to the City and Guilds qualifications, the compulsory guided learning hours have substantially increased so we now offer a 50-day dog grooming course as our standard course duration. 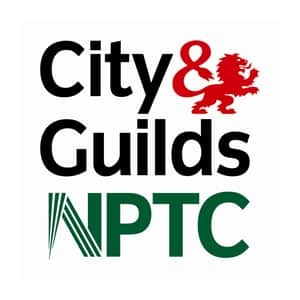 We deliver City and Guilds qualifications because traditionally, the City and Guilds logos are generally the most easily recognised. These are the dog grooming qualifications offered at Abbfabb Academy. 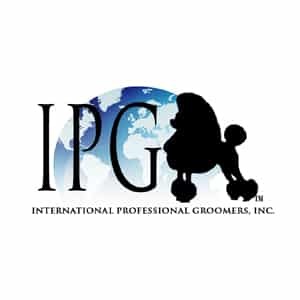 This trains and qualifies you in the industry standard trimming and styling skills and techniques for different breeds of dog with the aim of preparing you for a career as a commercial dog groomer. (qualification number 7863-03). All candidates receive the relevant Abbfabb Certificate on successful completion of the chosen course. Today’s clients have high expectations of their pet’s groomer and here at Abbfabb Academy, we believe that the modern professional groomer needs to be highly trained and have a thorough understanding of the work they do. Dog grooming is hard work but very rewarding. We are fully committed to our students, and in order to succeed, all students will need to be equally dedicated. Being a good learner is as important as having excellent tuition. All practical assessments are carried out in the grooming school by an Abbfabb approved assessor. There will also be an opportunity to attend an emergency first-aid for dog groomers, delivered by one of the veterinary nurses from the vets who are our neighbours. We build our dog grooming training course schedules to suit the individual student. We always try to offer as much flexibility as possible because people have commitments which often have to be worked into all courses. So with this in mind, we don’t have specific start and end dates. Unless you’re travelling from abroad, or a long distance, we recommend that you train for a maximum of three days a week. This will allow you to absorb all you have learned, and to complete your open learning work. Most students have other commitments such as part-time work and families, so training between one and three days a week will allow enough time for everything, including rest! If you are from overseas or from a considerable distance from us, we strongly recommend that you plan for a break in your training to allow yourself to rest. The longest course is taught over 12 weeks, and if you’re travelling from a long distance, you should plan for a stay of 14 weeks to allow for rest weeks. All students will receive a grooming kit including clippers, blades, Abbfabb Scissors, brush, comb, nail clippers and attachment combs, which is included the fees. Please click on the various dog grooming courses to find out more and send us an email from the contact page for further details on fees and start dates. "The way the course was designed for me was fantastic. It was way more than I expected. The team of teachers is excellent. Their methods and techniques are precise." "Working with Eve has completely changed my career and how I value my work and my business. I would highly recommend undertaking training at Eves school to anyone considering it, in my opinion she is the absolute best in the business." "Eve, and her tutors commitment to their students is amazing bringing out skills that we didn’t know we had. There aim is to give them the competence, confidence and all round skills to be successful in the grooming world." "The standard of training is very high and thorough. Hands on teaching, in a working salon is amazing, giving a true insight into the world of dog grooming.Every dog needs an Abbfabb trained groomer!" "The standards expected at Abbfabb are extremely high which is exactly how I like things to be as it encourages students to always achieve their potential. I found Eve Somers and the Abbfabb tutors to be to extremely encouraging and always available to advice and support." "I can never thank Eve and her fantastic tutors enough for all their patience and teaching skill - my experience training at Abb Fabb has been no less than life changing - I am so very glad my research led me to Callington for my training!" 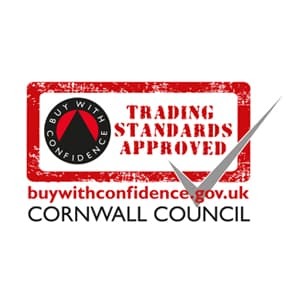 "Choosing Abbfabb Academy to train with was the best thing I could have done, the trainers have given me the practical and theory experience that I required whilst working within my own busy business week. " What’s going on for Abbfabb Academy?